For processes such as diagnostic procedures, skin treatments and medical interventions where blood or saline solutions are involved, temperature monitoring and control are essential in the success and reliability of the procedure. Employing IRt/c technology increases the speed and reliability of the procedures while assuring patient safety. In the cosmetic market, our customers provide advanced solutions for a broad range of medical-aesthetic applications, including body contouring, skin rejuvenation, cellulite reduction, acne treatment, hair removal, wrinkle reduction etc. These applications are aimed at treating patients by heating up very specific target areas (subdermal fat tissue, scar tissue, vascular lesions etc.) with electrical and/oroptical energy (laser, IPL, infrared light). The treatments are most efficient when high temperatures are reached in the target areas. However, this increases the risk of burns. By monitoring the skin temperature in real-time, treatment efficacy can be optimized while assuring patient safety and preventing overheating of the skin. 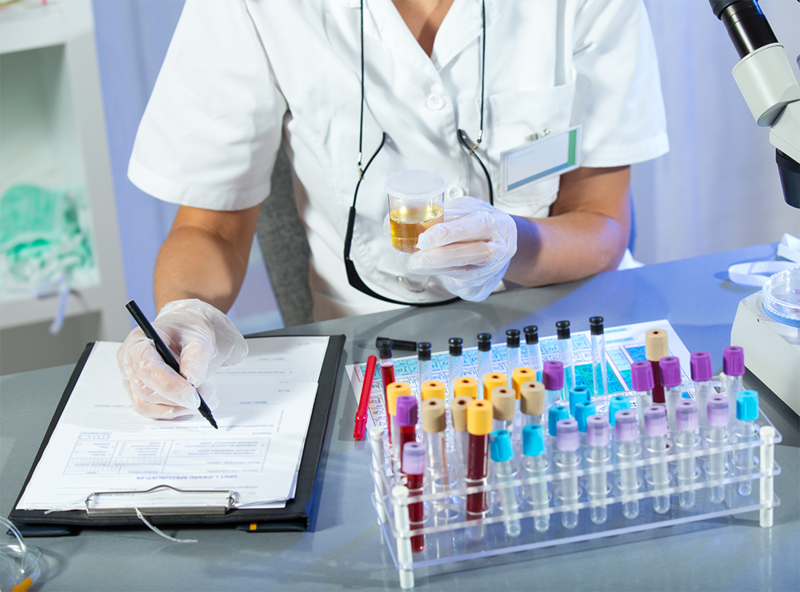 Diagnostic procedures are more frequently taking place at the point-of-care, or are otherwise automated in clinical laboratories. Speed, accuracy and reliability are key to assure proper diagnoses, yet many diagnostic procedures are based on physical or chemical processes that are temperature sensitive. To assure reliable diagnostic results, temperature monitoring and control of the biological samples and processes are essential. Diagnostic applications include OA point-of-care blood analyzers, plate readers, immunohematology analyzers and immunohistochemistry equipment. As medical professionals introduce new techniques and devices into their practices, they need foolproof, reliable thermal measurement solutions to ensure patient safety and device sterility. Exergen’s non-contact infrared temperature sensors provide fast and contamination-free measurement to help monitor and control fluid temperature. Our sensors are ideally-suited to a range of applications in which fluid must reach a certain temperature, including: transfusion systems, IV warming systems, dialysis systems, cardio-pulmonary bypass systems, ECMO systems, and IVF workstations. They are also employed in the thermal management systems of surgical platforms. Our patented Heat Balance method allows us to measure fluid temperature non-invasively using disposable tubing. Exergen’s sensors provide other benefits not found in competitive sensors: our IRt/cs are self-powered and have zero drift, so they do not require service or calibration. They have repeatability error rates of just 0.01°C (0.02°F) and interchangeability error of +-1%, meaning that they provide accurate, reliable measures time after time, and that replacement sensors (if needed) will be exactly the same, with no programming needed. We also have extensive medical device knowledge and background through collaboration with our Medical Division, a group that is recognized world-wide for its award-winning Temporal Scanner product line.